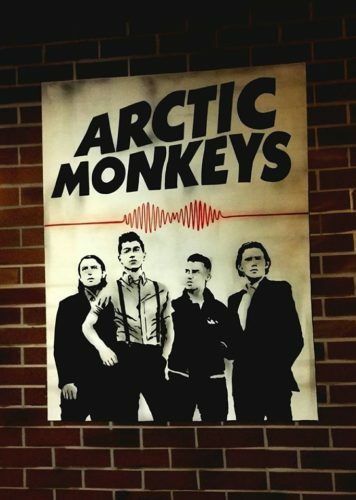 a Live Music Venue and Bar. 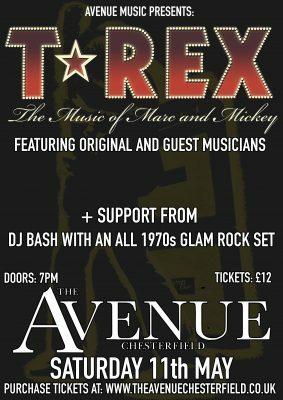 At The Avenue, we are keen to introduce both established and up-coming artists to our venue. We host a variety of genres in the hope of satisfying every music taste as well as having a huge capacity which enables us to host large events and big names that you wouldn’t normally find in a small town. For a full list of up-coming acts performing at our live music venue, click below. 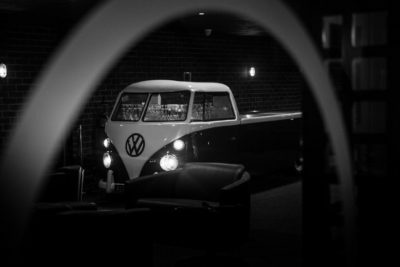 Our themed venue is something we are proud of with brick style walls, a telephone box and campervan to really create the impression of an avenue setting. 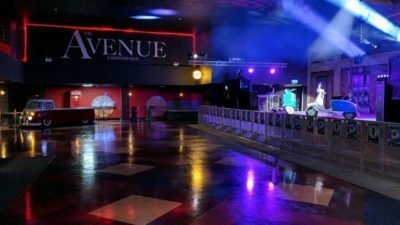 As the UK’s largest independent music venue, The Avenue has an impressive capacity of 1800, meaning we can accommodate popular artists and bands. Our location adds to our appeal, being accessible from surrounding areas by car, bus or train. 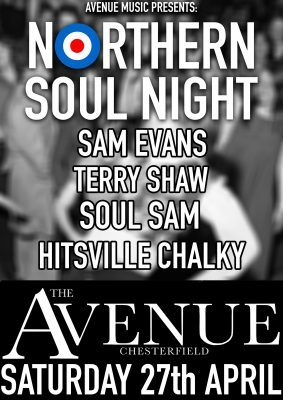 With a welcoming feel, friendly staff and a lively, nightclub atmosphere, we are sure that a night at The Avenue will be a night to remember! Since opening, we have been lucky enough to host some great acts, and we have captured them all on video to showcase the work we are doing. 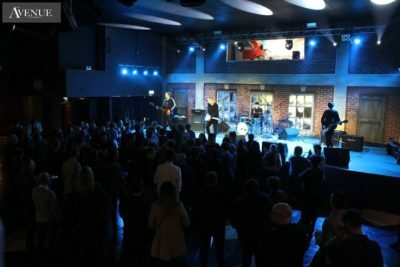 As our venue continues to grow in popularity, we hope to attract more big names, however we are keen on inspiring new talent and encourage local bands to perform and become more well known. If you are a band or artist looking for great venues to perform and become known in the area, we are always looking for talented live music performers. 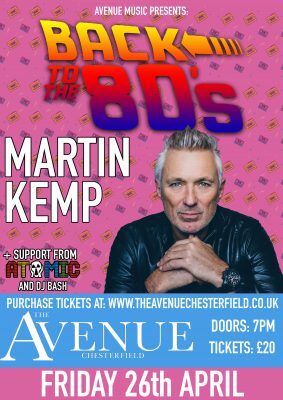 With a large and popular venue, a great stage which our previous acts have loved, plenty of exposure as our online presence grows, and a thriving atmosphere – we are confident that performing at The Avenue will give you the boost you are hoping for. Went to see From the Jam last night. Great venue, we loved it. 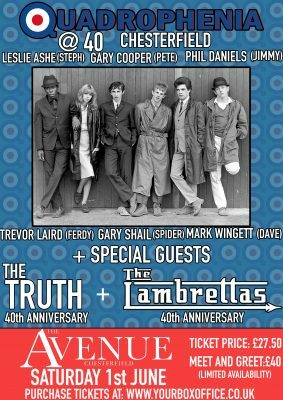 We will def return to see some of the other great acts coming up. No toilet or bar staff issues and LOVED the VW! Had a great night with friends at The Avenue last night. Atomic were brilliant. They played some really great tracks from the 80s. It’s so refreshing to finally have a great club in Chesterfield suitable for all, irrespective of age. I hope it gets the recognition and support it deserves. I’ll definitely be back to swing my pants with friends. Fantastic night, Skindred were excellent. The bar was busy but I’ve seen worse. The ladies toilets upstairs were plentiful! The security were excellent, felt very safe. Good security checks upon entering and the visible security dotted around seemed on the ball. There was a bit of a sound hiccup mid Skindred set but recovered it well.